Stop heat loss and unstable temperatures for good. 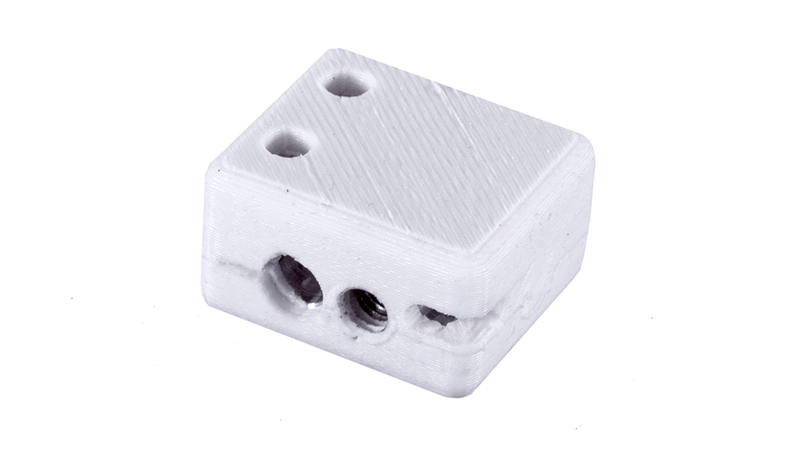 Insulated with high-temperature silicone, this E3D v6 Volcano heater block will maintain a stable temperature much better than the stock E3D Volcano v6 HotEnd heater block. The design of the heater block allows you to use high temperature, high accuracy PT100 temperature sensors on Volcano, making it intercompatible with the PT100 Upgrade Kit on your E3D-v6 HotEnd. 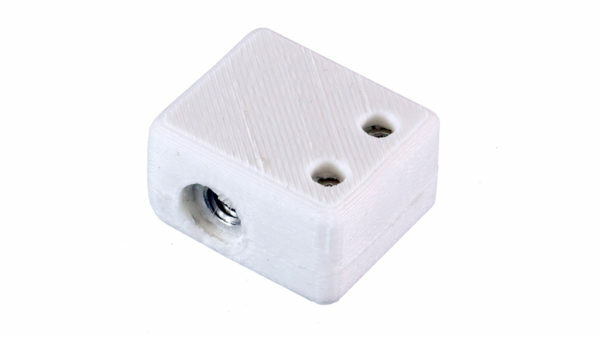 These heater blocks are extremely similar to the standard E3D-Volcano heater block, but instead of a hole sized for a thermistor with a clamping washer these blocks have a hole sized for the PT100 sensor, and use an M3 grub screw to quickly and easily secure or release the sensor. Supplied with an M3 Grub screw to secure the PT100, and M3 Socket Screws to clamp the heater cartridge.